Hine, Men at Work (Macmillan Comapny), front cover. Kaplan, Photo Story, Selected Letters and Photographs of Lewis W. Hine, (Smithsonian Institution Press), unpaginated. Langer, Lewis W. Hine, The Empire State Building, (Prestel Publishers), p. 88. 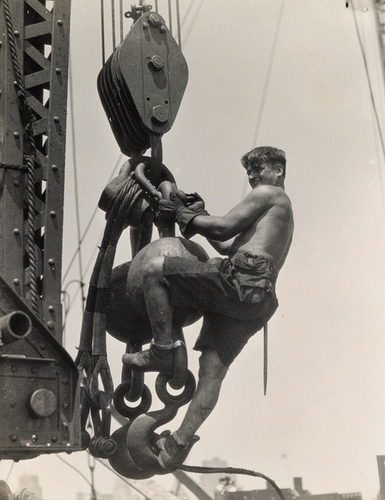 Steinorth, ed., Lewis Hine, Passionate Journey, Photographs 1905-1937, (Edition Stemmle), p. 200.